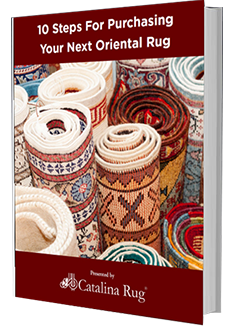 How to Buy Persian Rugs Ultimate Guide | Catalina Rug, Inc. Walking into a Persian rug store is like walking into a scene straight out of the Arabian nights with rows and rows of rugs in the most fascinating array of designs and colors. As you look around soaking in the patterns and the hues and touching the soft wool, it wouldn’t be an exaggeration to say this is a rug-lover’s heaven. However, all rugs are not created equal and it is important to know what to look for when buying a Persian rug so you are not disappointed with your purchase. 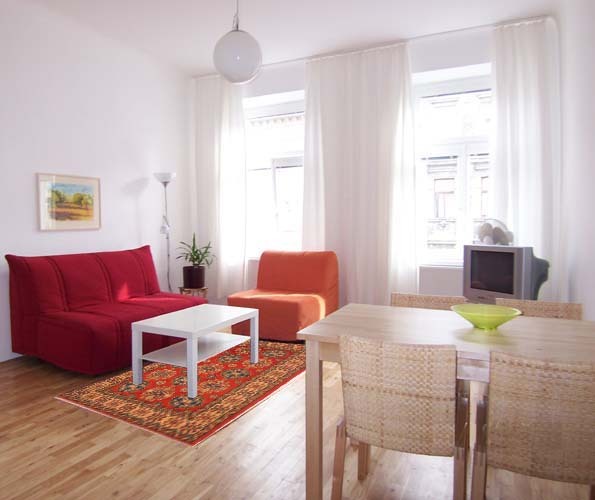 At the outset, it is important to know that all Persian rugs fall into one of two general categories – tribal or city. Usually, it is easy to distinguish between the two on sight as the rugs from each of the categories have distinct characteristics that are different from the other. Tribal rugs generally have bolder colors and a looser weaves with as few as 50 knots per square inch. Most tribal rugs tend to feature bold, simple, geometric designs. There is a distinct lack of complex patterns. This is because the looser weave restricts the number of shapes that can be produced. Weavers who produce tribal rugs almost always use hand spun wool from the sheep that they themselves rear and the dyes that are used are manufactured from the leaves and roots of plants found in that particular region. City Persian rugs on the other hand are more elaborate and sophisticated with a higher knot count. This higher knot density allows the weavers to produce busy patterns that are much more intricate and multifaceted. Kermans, Isfahans, Qums and Kashans are some of more well known Persian city rugs. In weaving these city rugs, weavers in each of these cities follow complex, curvilinear designs that have been sketched on paper by palace artists. The coloration are as complex as the designs themselves. Each of these rugs can take a long time to complete. Before you forge ahead with your rug buying, you need to decide whether you want to buy a tribal or a city rug. Another important aspect that you should keep in mind when buying Persian rugs is that you cannot compare tribal rugs and city rugs. City rugs will always win with regards to better finish, sleeker looks and higher knot count. However, although tribal rugs have lower knot counts and a less than perfect finish, they have a rugged, folk-art look that has its own charm. Unless they are outrageously badly made (which is very rare), these rugs are considered to be of fine quality. When comparing, make sure you only compare tribal with tribal and city with city. Consistency in the weave: Check the front and back of the rug. Can you see flaws in the weave? Irregular weaving is more easily detected on the back of the rug so make sure you turn it over and check. Also a rug that has a consistent weave will lay smoothly on the floor without rippling, wrinkling or puckering. If you see any of these inconsistencies as you lay the rug on the floor, take another look at it. Do the edges and ends look straight? Inspect the edges and ends of the rug. In a good rug the edges will be straight, the width dimensions will be the same at both ends and the ends will be properly secured. Do not buy a rug if the ends are not properly secured as there is a higher likelihood it will unravel while vacuuming or cleaning. If the rug has fringes at either end, the fringes should be neatly cut and the ends secured neatly and tightly. Cotton fringes are the best but wool is also good. It is best to avoid buying rugs that have discolored fringes or if the fringes are made of any fabric other than cotton or wool. Fringes made of silk and other synthetic materials are considered undesirable. Is there a consistency in the coloration? Persian city rugs are woven using lots of colors but there is always a consistency in the colors used. Look for any aberrations in colorations. 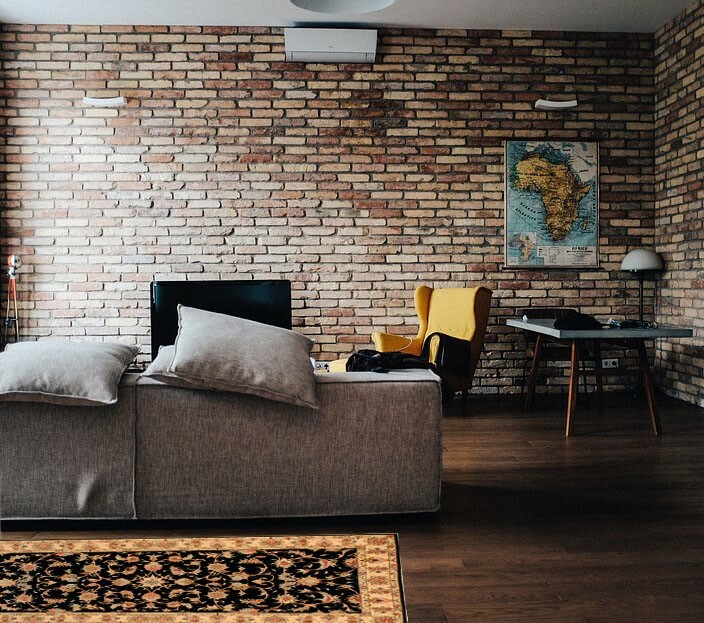 A darker colored patch could mean that the rug has been mended in another color, whereas a lighter colored patch could mean that the rug has faded over time. Both scenarios are unacceptable. There is a huge variation in the knot count in Persian rugs and it really wouldn’t be fair to dismiss rugs with lower knot count as lower in quality. For instance, tribal rugs have a lower knot count but that is not necessarily mean they are of lesser quality. It is simply the weaving technique that is used. When you are considering knot count, what you do need to know is rugs with a more intricate pattern will generally have a higher knot count and will also be much more expensive than rugs with a basic pattern or a lower knot count. Your decision will depend on how much you are willing to pay for a rug. Whether you prefer a rug with a higher or lower pile is purely a matter of personal preference. Rugs with a higher pile look and feel plusher but there are other benefits to rugs with a lower pile. 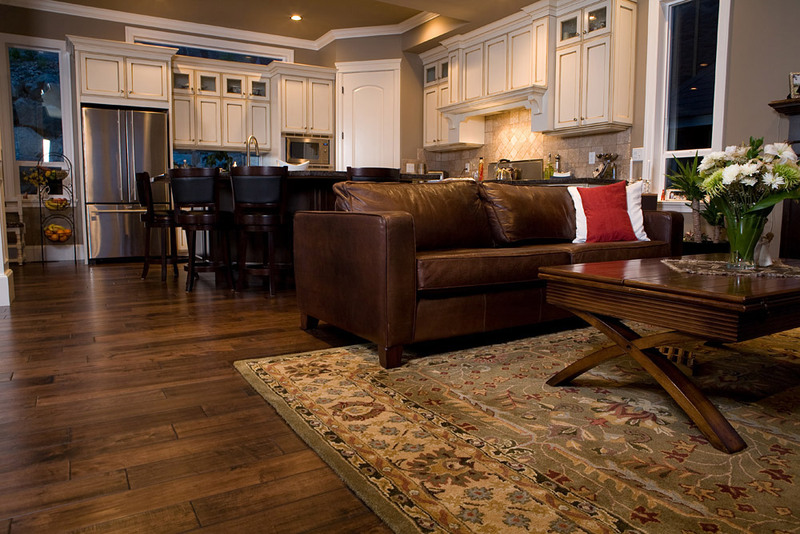 Low piled rugs attract less dirt and dust and are easier to clean. They also wear more evenly and are easier to place as furniture won’t wobble if you need to place your furniture half on and half off the rug because of space constraints. Another way to test the quality of the wool is to run your hand over the wool nap. If it feels smooth and slightly oily, it is good. Lanolin is a natural lubricant that is found in wool. Avoid buying any rug if the wool feels dry and brittle as it is not likely to last very long.